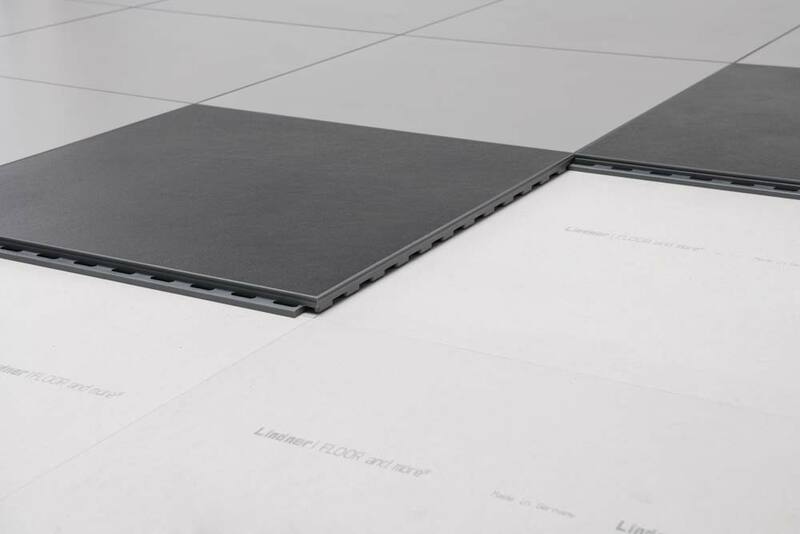 The AR23 flooring system from ArsRatio uses 600 x 600 mm elements and is specially designed to handle heavier* traffic on raised access floors. This robust system flooring uses thicker 23 mm elements. It’s ideal for sales floors, restaurants, hotels, exhibitions, and public buildings. These floors are so tough, you can even drive lift trucks and fork lifts over them. The combination of the heavy-duty elements with quick and easy installation ensures outstanding value with a high-end appearance and perfect joints. 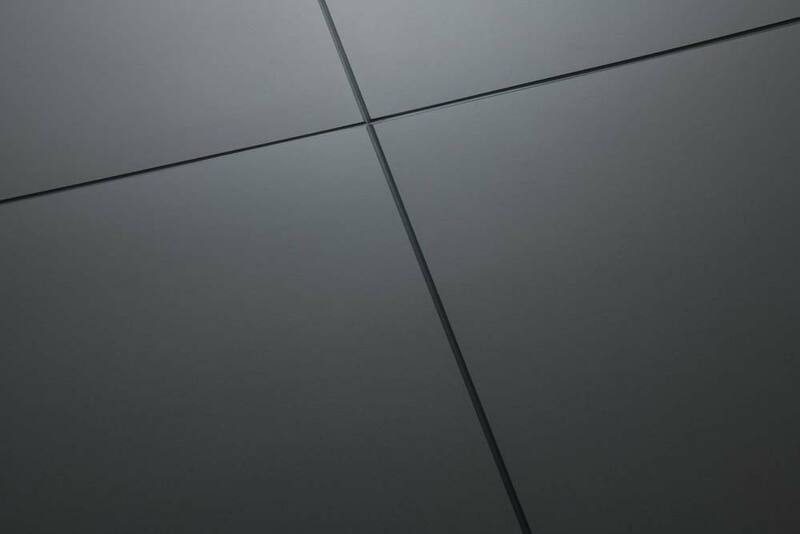 AR23 flooring is available in 12 standard colors (see below), additional color combinations are available upon request. 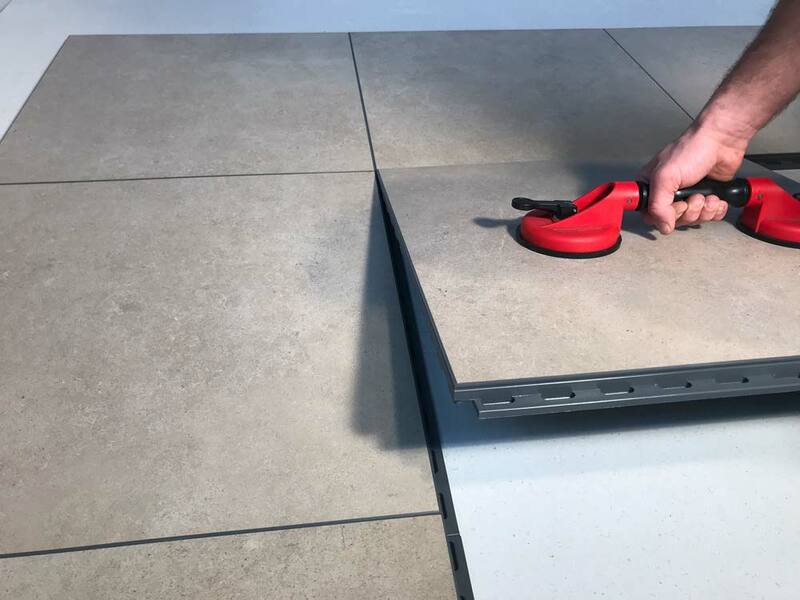 With the ArsRatio interlocking mechanism, individual AR 23 flooring elements — consisting of a tile element with porcelain surface and polyurethane joints — are extremely fast to install and can also be removed again very quickly. Later modifications to the flooring layout can be made in a snap, with underfloor cables and equipment always easy to access. All technical specifications including installation height, weight, point loads, and information on installation are available in the AR23 data sheet.